Bread pudding. Such a weird thing. It makes you all confused, and for some reason conjures up images of 19th century England (...or...maybe that's just me. Anyway...). And it's like....is it pudding? Is it bread? WHAT IS IT??! 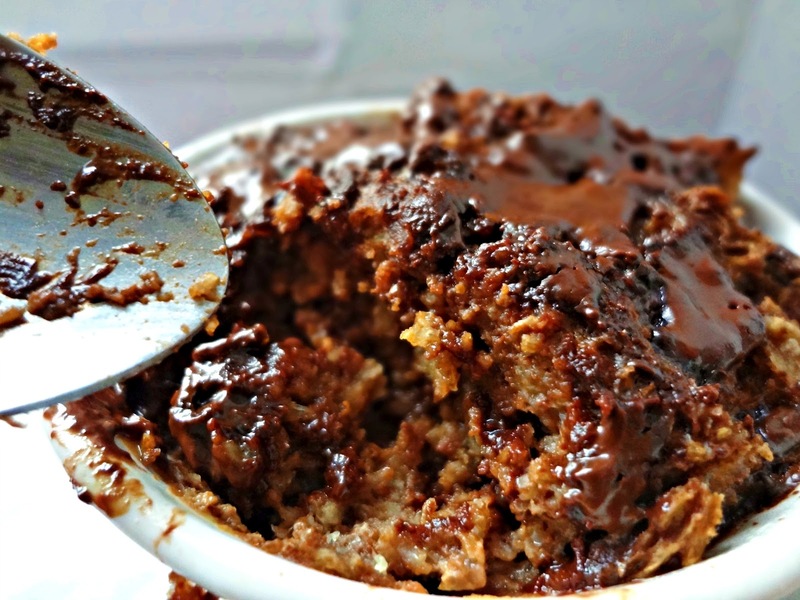 Turns out, it's basically bread that's been soaked in stuff and ends up being, kind of, pudding. Mind you, I've still never had the original bread pudding. But chocolate bread pudding, oh it makes my heart sing! 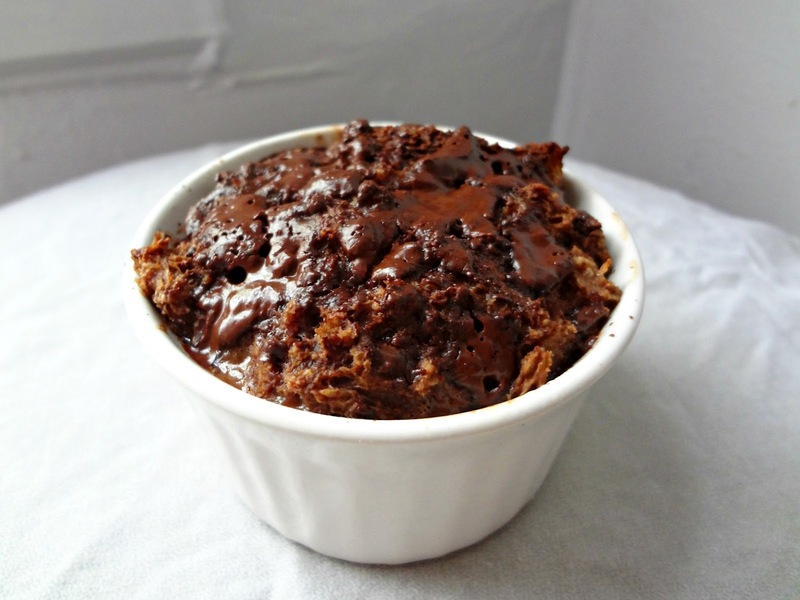 From Skinny Taste's "Dark Chocolate Chunk Bread Pudding"
Preheat oven to 350 degrees. Lay bread chunks in a single layer on a baking sheet. Bake about 5 minutes. Remove. Whisk together milk, sugar, cocoa powder, vanilla, and egg in a medium bowl. Add bread and toss it gently to coat. Coat two 6 oz. ramekins with cooking spray. Divide half of bread mixture evenly between the ramekins. Sprinkle evenly with half the chocolate. Top each ramekin evenly with the rest of the bread mixture, then the rest of the chocolate. Place ramekins in an 8 x 8 square baking pan and fill with 1 in. of hot water. Bake 35 minutes, until set. Serve warm (unless you're a freak like Michael and prefer them cold). Optional:top with 1 tbsp. whipped topping. Oh, this looks fabulous! 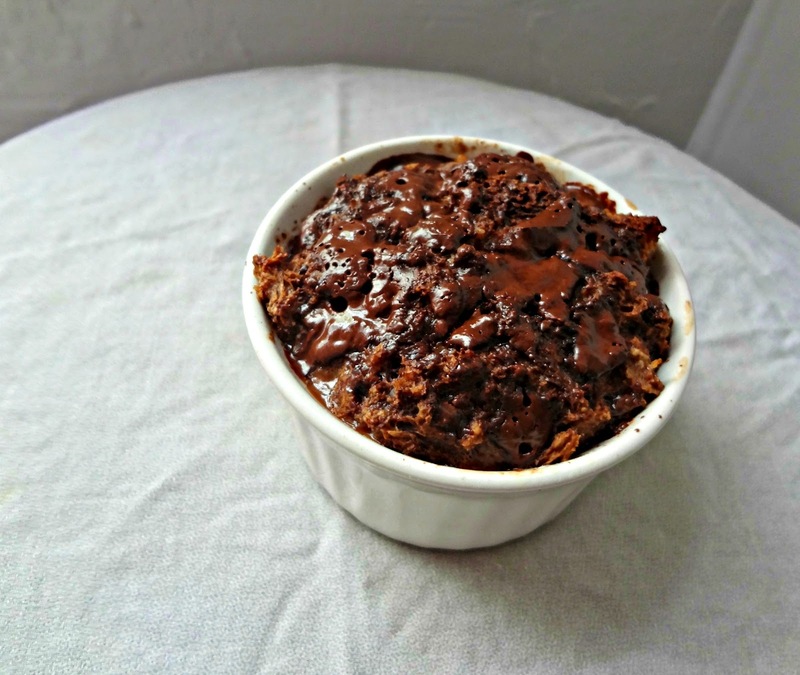 Chocolate bread pudding is about the only kind I can get my family to eat! OMG. This looks SO freakishly rich. You would never know you've done Jedi tricks to lighten it up! YUM! That looks so intense! And I agree, if it;s chocolate, how bad can it be. I am a massive fan of bread pudding but I've never had anything remotely similar. The thing about this dish is that the word bread in the title is deceiving. After it is all put together and baked, the bread just isn't bread anymore. 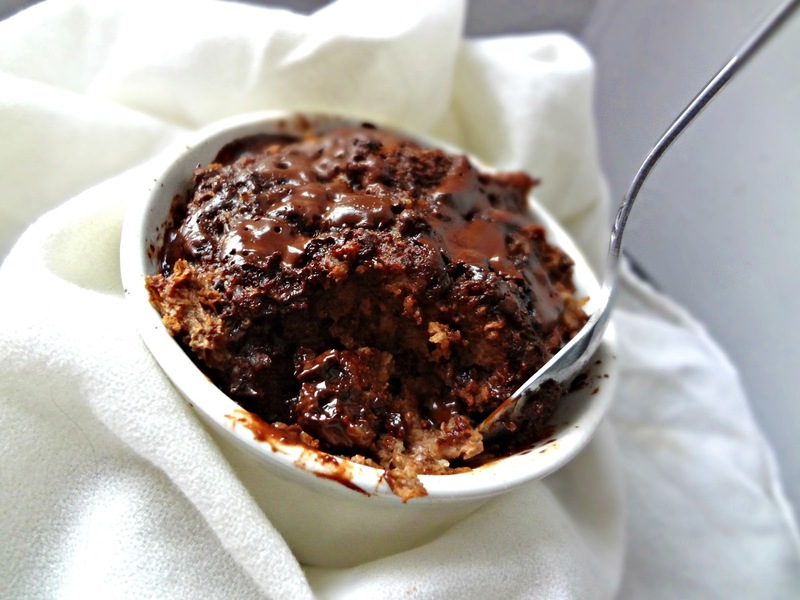 It crosses the line and becomes something insanely like rich warm chocolately fluff. Ooops-I think I just hit the craving meter! Delicious post! This looks so yum, and perfect at the end of a long, crazy day:) I might just have to give this a go. I'll let you know how mine turns out. I saw your post on foodgawker!! Look amazing!! I am gonna try this one day! Thank you! You def. should! I love the chocolate twist! I think chocolate bread pudding would mask the fact I am eating soggy bread--haha it looks way more appetizing than most bread puddings I've tried! Heeeey! Lol sometimes I try to lighten stuff up! 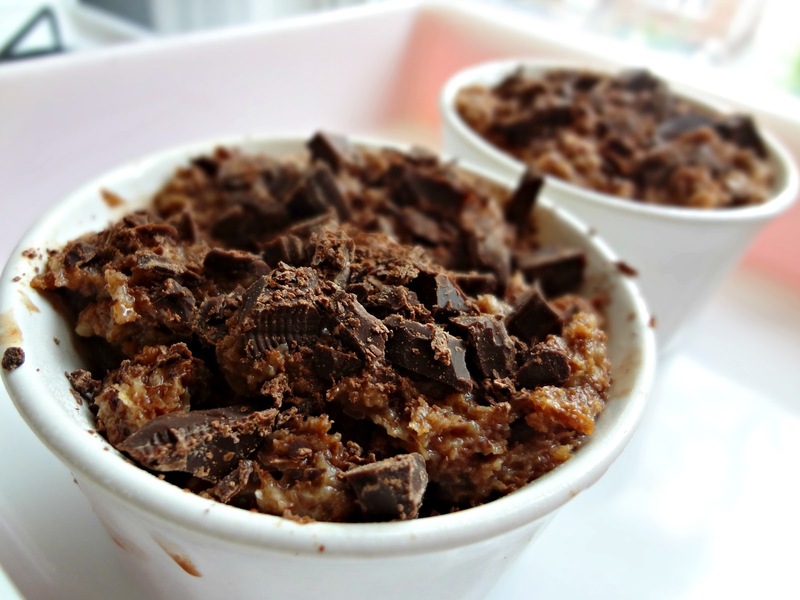 this looks like a bowl filled with amazing chocolately goodness - i need to try this! I didn't eat bread pudding for years because of the name. Was it suppose to be sweet or not? Then I was talked into sampling a pumpkin flavored one. It was divine. This one looks divine too. So yummy with the ooey, gooey chocolate! That looks amazing! I love the picture with the chocolate chunks on top! *Drools* Yum! Do you know where the non-lightened up version is? I must try it Kayle! Oh my, this just looks to good to be true!!!! I LOVE bread pudding! I used to make white chocolate bread pudding when I worked at a restaurant, but this looks phenomenal. I might have to give this a try! Looks darn good for lightened up! This looks good. I love chocolate and this is something I am sure I would love. Wow, this looks incredible! Can't wait to try it soon! !